Internship Resume Home of the Make a Free Printable Resume! A really well written Internship-Resume promotes you into a league of your own. Prospective employers want to see "what you're made of." In many cases, your college resume student writing for an internship resume is as important as your initial college search out of high school. Employers want to see beyond the book cover; what is under the sheets? Simply, if you're in college, get an internship (or two) under your belt. Who knows, that experience could become your new post-graduation job. Theoretical understanding of Small Business Operations. Public Corporation and/or Federal Government Organization. by lending my applicational and intellectual expertise to assigned teams and departments. ResumeEdge: Certified Professional Resume Writers edit and write your resumes and cover letters. Get an Edge. Click Here! Working knowledge of Quicken Quick Books. Skilled with computer systems and software. Honest, friendly, outstanding communication skills. Expert technical knowledge of Filing system. Capable of exercising initiative, achievement and independent judgment. Skilled at organizing complex projects, defining project priorities, and delegating tasks. Skilled at encouraging others and developing rapport. Self-starting, goal-oriented strategist whose confidence, perseverance and vision promote success. Demonstrated record of high performance standards, including attention to schedules, deadlines, budgets and quality work. Working knowledge of Microsoft Office Suite 2007. Skilled with Unix and Linux computer systems and software. Thorough understanding of EBITA. Skilled at organizing complex projects, defining project priorities, and delegating tasks. 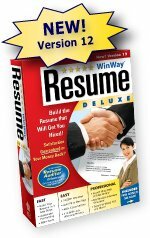 WinWay(c) Internship Resume Deluxe is the easiest and most complete job-winning system available.